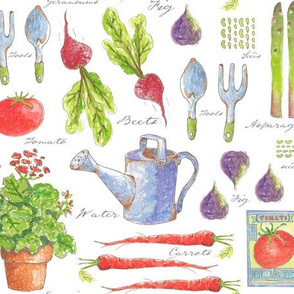 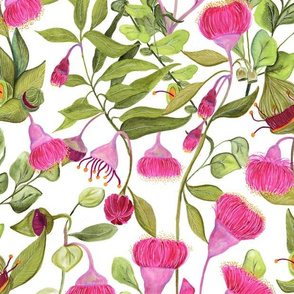 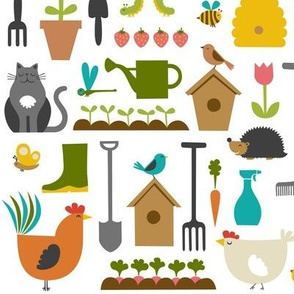 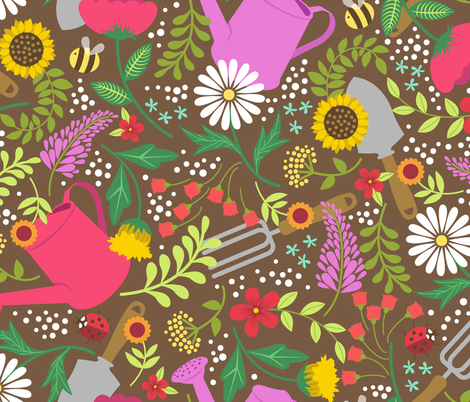 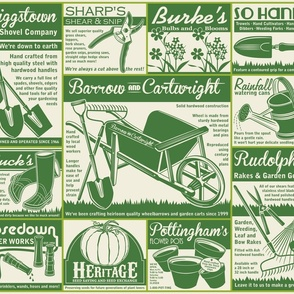 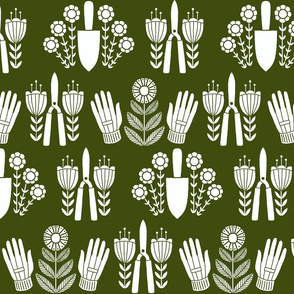 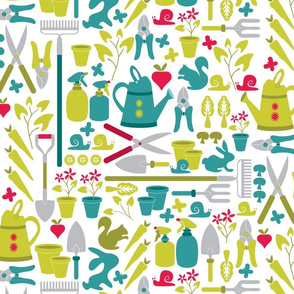 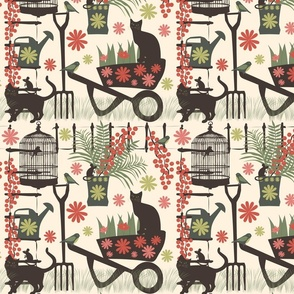 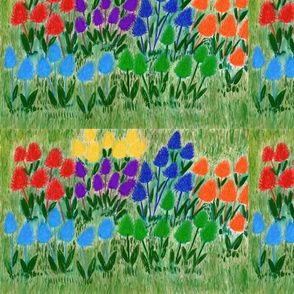 With spring gardening season in full swing -- here in North Carolina, at any rate -- this week designers competed to create fabric designs featuring gardening tools. 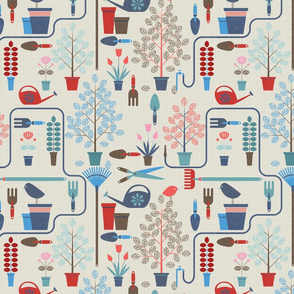 From a very strong field, ten terrific designs made it to the top ten. 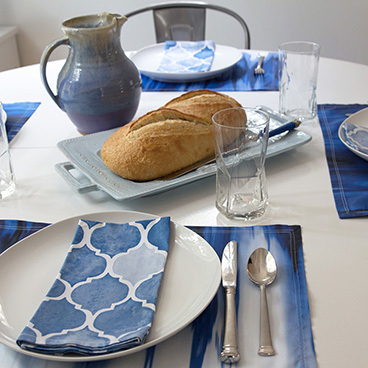 The winner is first-timer Alisse Courter. 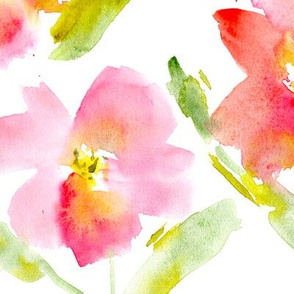 Congratulations, Alisse! 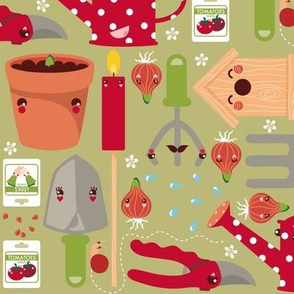 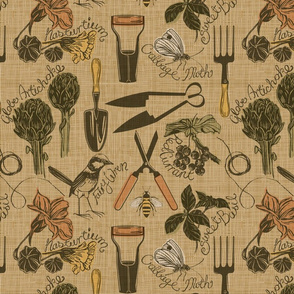 For one week only, be sure to check out our <a href="http://www.spoonflower.com/fat_quarter_bundles">bundle of fat quarters</a> featuring all of the top ten gardening tool fabrics for a special price.